The ADOX library has an object model that allows you to create database objects such as tables, indexes, and keys, as well as to control security, establish referential integrity in a database, and perform cascade updates and deletions. 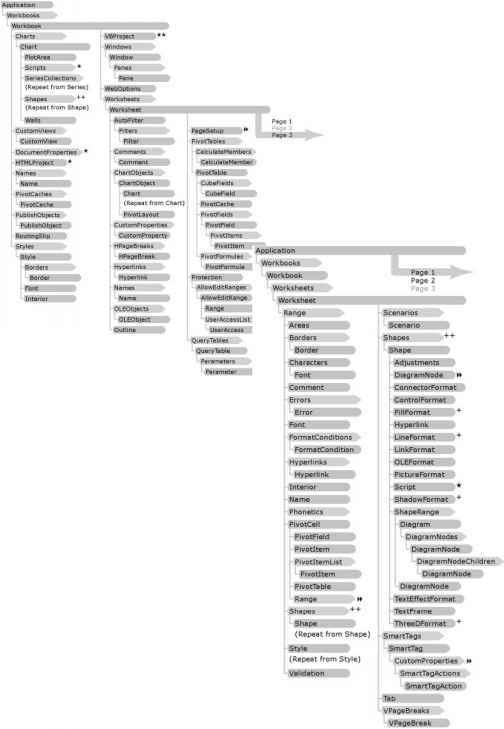 The Catalog object is at the top of the ADOX object model, with Tables, Groups, Users, Procedures, and Views collections. Please consult the online help for the complete ADOX object model. Just as with the ADODB library, if you want to make use of the ADOX library in your Access solutions, you must add a reference. You can add references by selecting Tools C> References in the Visual Basic Editor. Figure 5.18 shows a reference to the ADOX library as part of the current project. Let's look at a few examples of what you can do with the ADOX library. For starters, you can create new databases, tables, and other objects using the ADOX library. The following procedure is an example of how you can create a new table in an existing database. First, a new Catalog object is declared and is assigned to the current open connection. Then, a new table called tblSupplier is created, and a name and new columns are assigned to it. The new table is then appended to the Catalog.Tables collection, which added it to the database. After running the preceding procedure, you can see (in Figure 5.19) that a new table called tblSupplier has been added to the database. In addition to managing databases and tables, you can also use the ADOX library to manage security, including users, passwords, and groups. 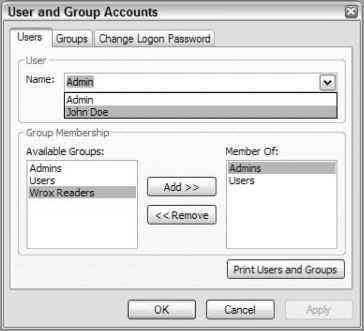 The following example adds a new group called Wrox Readers and then adds a new user called John Doe to that new group. Set usrUser = New ADOX.User usrUser.Name = "John Doe"
'add the new user to the new group usrUser.Groups.Append "Wrox Readers"
Notice again how a Catalog object is used, and this time so is a User and a Group object. The new group is created first, and then the new user is created, and finally the new user is appended to the new group. After executing the preceding code, you can see in Figure 5.20 that the John Doe user was added to the current project along with the Wrox Readers group. The dialog box in Figure 5.20 can be displayed by selecting Tools C> Security C> User and Group Accounts. The Group object also has other methods, such as SetPermissions and GetPermissions. SetPermissions method assigns different access rights and GetPermissions retrieves current permissions in effect for the group. These and many other features can be manipulated using the ADOX library. This section is not meant to be exhaustive, but just to provide you with a few examples of how you might use the ADOX library.